In my opinion, Nevada’s Golden Age of Gambling was the period of time from legalization of open gambling in 1931 until 1981. 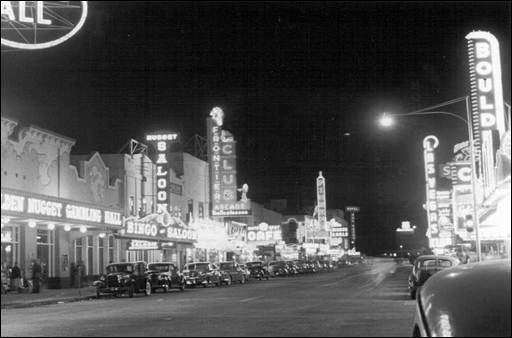 Reno truly became The Biggest Little City in the World as old Mob bosses opened new clubs along the downtown corridor. In Lake Tahoe, clubs popped-up on a regular basis, some as clip-joints, some with mostly fair rules. In Las Vegas, the Eastern Mob took note of the new regulations and sent ambassadors to meet greet that city’s downtown casino owners who were mostly convinced to take-on new partners. By the 1940s, casinos like the El Cortez and the Las Vegas Club were under the control of “Bugsy” Siegel and Moe Sedway, and soon Moe Dalitz would be in town backing Wilbur Clark’s Desert Inn. The movement of owners from region to region and club to club is fascinating, and turning Las Vegas from a small town into the gaming capital of the world by the 1960s was an amazing feat. It couldn’t have happened without the Mob’s money or the Teamster’s loans. In fact, the money was so good that even Howard Hughes couldn’t keep out of the town. Hughes purchase large parcels along the Las Vegas Strip in the 1940s, was secretly married to Jean Peters in Tonopah, NV in 1957 (and honeymooned in room 33 of the L&L Motel), and eventually sealed himself away in the penthouse of the Desert Inn late in 1967. Moe Dalitz wanted him out before New Year’s when the high-rollers would be arriving, but Hughes refused to leave, eventually purchasing the club for $13 million. From that lofty perch on the Strip, Hughes bought several other clubs, including the Silver Slipper across the road, because the flashing neon sign bothered him. 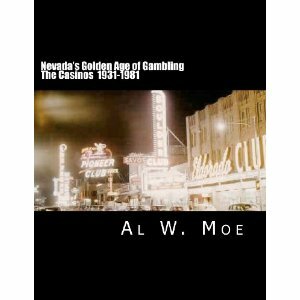 There are plenty of stories like these in the 182-page, 8×11 book Nevada’s Golden Age of Gambling, not to mention over 70 vintage photos. If you want to read right away, order the Kindle edition for just $3.99 (did you know you can start reading a Kindle book on your computer in less than 60 seconds and you don’t pay for anything but the book?). When playing online games it is very important for you to be aware of bonuses and offers released by different casinos. If you have the knowledge on casino bonuses and best deals, you can make your gaming entertaining and profitable. How nice place is! I like the casino. My partner and I absolutely love your blog and find nearly all of your post's to be just what I'm looking for. Do you offer guest writers to write content for you? I wouldn't mind composing a post or elaborating on a number of the subjects you write concerning here. Again, awesome site!